Shuttering a game carries a heavy cost. This seems counterproductive from a math standpoint; after all, you aren't spending money on a game's servers any longer, so how can it be costing you more? But gamers have long if inaccurate memories, and there are a lot of ripple effects that spread slowly outward after the game has gone dark. Some of these costs aren't even obvious when the game closes, and the full effect won't be felt for months. With only a little while left until the end of City of Heroes, I think it's only fair to look at these costs. Obviously, I've discussed some of the unseen costs already, but all of those have been looking at the cost of losing City of Heroes for the players and the developers. Today, I want to see what it actually offers NCsoft because there's a long list of things that are getting burned away by this closure, and I'm having trouble pointing to any given element as actually being a benefit for the company in the long run. By all reports, CoH made money. Not an extraordinary amount of money, but enough to mean that every month that the game was running meant another dose of free money for NCsoft's management. This is especially relevant as CoH was the last game in NCsoft's catalogue here that still had a subscription. Lineage II and Aion have no option for a subscription, Guild Wars has never offered one, and Guild Wars 2 follows its predecessor's model with far more cash shop nagging. Guild Wars 2 promises to be a major moneymaker for the company for now, of course; since the game is still young, getting game money for real money is a very attractive prospect for many players, but it's unclear how long that's going to last, and it's never going to be a very steady flow of cash. We've got no way of knowing how much this cash drop is going to impact NCsoft in the long run, since estimates for how much money CoH actually made vary wildly and are all varying degrees of biased. Certainly the company will be up a little money right away because it won't be paying the salaries of the development team. This doesn't mean that cutting expenses and profits at once will balance out; by next quarter, the lack of expense compared to the lack of profit is going to look like the raw end of the deal. I'd be remiss if I didn't wonder what will be next on the chopping block. Unlike some of my readers, I haven't said that I'm boycotting NCsoft from here on out. This is because I'm not going to as a whole. ArenaNet and Carbine Studios don't deserve my ire, and saying I'm boycotting Blade & Soul would only matter if there was a universe wherein I would have played in the first place. Because of games that I am interested in developed by other studios and because of the simple necessities of my job, a boycott isn't in the cards for me. Tabula Rasa, Auto Assault, and Dungeon Runners all hurt when they closed, but they had the excuse of being comprehensible closures. The games weren't making money, although in the case of Tabula Rasa, there was no way it could make enough money in the time it had. You could make the argument that as much as you might not have wanted one of these games gone, the company had a reason to say it was pulling the plug. CoH, on the other hand... there was still life left in the game. There was still a lot left to be done, a lot left to be added, and nothing to indicate it would be shut down. I asked above what would be next on the chopping block because this indicates that doing well is no longer an acceptable criterion for a game to avoid shutdown. That's not good. I've already talked enough about how talented I think Paragon Studios was, right? And we all remember that NCsoft could have leveraged this group of talented and creative people to do almost anything in the world, right? Including throwing a huge amount of time and money into developing a sequel while the main game chugs along, which is precisely what happened elsewhere within NCsoft. I wouldn't say losing these people was the end of the world, but it still represents a pretty major loss of talent. Despite what some have said, the MMO is not dead, nor is it on life support. 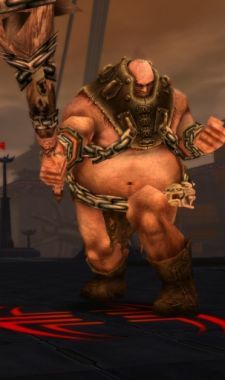 What is happening, however, is that some of the ideas which were long taken as a given for MMOs are starting to erode. CoH's closure is helping to eliminate the idea that an MMO is a home, someplace you stay through thick and thin. The proliferation of free-to-play contributes to this in part. Without any fee up front, people are less anchored to a game. This is a good thing, but it also means that we wind up feeling less inclined to stick around for the long haul. There's less investment. Closing a long-running game just reinforces the idea that maybe we shouldn't expect this game to hold our attention for the long run, at least not if the same people are in charge. This is something that deserves a whole series of articles as discussion, but it's going to be harder to feel that any NCsoft game is going to be around for longer than seven years. Long story short, I hope NCsoft is getting a big writeoff from this shutdown because it looks like a pretty big loss from this end. Comments are welcome below or via email (eliot@massively.com). Next week... the end. By day a mild-mannered reporter, Eliot Lefebvre unveils his secret identity in Paragon City and the Rogue Isles every Wednesday. Filled with all the news that's fit to analyze and all the muck that's fit to rake, this look at City of Heroes analyzes everything from the game's connection to its four-color roots to the latest changes in the game's mechanics.